The following is a guest post written by Allen Buchanan, Principal at Lee & Associates and CRE App Review advisory board member. The commercial real estate business is simple, but not easy. The transaction process is complex. There are at least seven steps to the "pipeline" of commercial real estate deals..sourcing, finding, controlling, executing, closing, billing, and collecting. 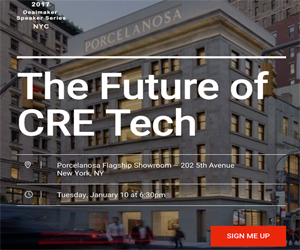 Most CRE apps are designed to help CRE pros EXECUTE more efficiently. Generally, apps charge us monthly or via pay-per-view. Although if we pay, there is no guarantee of success...we may not close a deal. So, the technology tool ALL CRE brokers MUST have is one that SOURCES deals for us AND charges us ONLY IF we succeed. Digsy is a free web service that makes it easy for tenants & buyers to find the perfect commercial space by outsourcing their search to pre-vetted local commercial real estate experts. Tenants & Buyers save precious time to focus on their business, while tenant rep brokers get a new source of qualified clients to add to their customer base. Simple, right? The service delivers qualified leads to CRE pros and you only pay if you close a deal...BINGO! Follow Allen's personal blog, as well as his contributions on The News Funnel.